I make a version of shakshuka that's a bit more italian in nature. so good for a quick dinner. remarkable. gotta try it this weekend. That version looks great! And that's the best thing about this recipe -- you could make the equivalent dish for another culture by swapping in the appropriate suite of spices. Shakshuka is my favorite israeli meal -- I could eat it for breakfast, lunch or dinner! Agreed, Daphne! 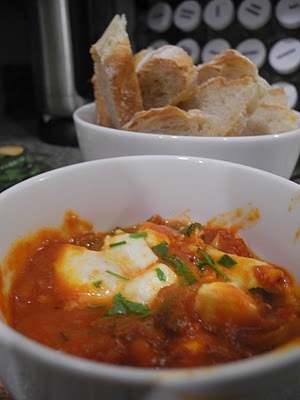 I suggested brunch in the post, but this particular shakshuka was made for a dinner.